Taekwondo offers a "learning style" athletic activity that develops a combination of balance, coordination, and flexibility while instilling a sense of self-discipline that can carry into all aspects of life. People skills and confidence are key elements of our program, developing the students into future leaders. Instruction is beneficial to children as young as 5-years old, Pre-teens and Teenagers, Adults of all ages, and Seniors. Remember ... students progress at their own rate. 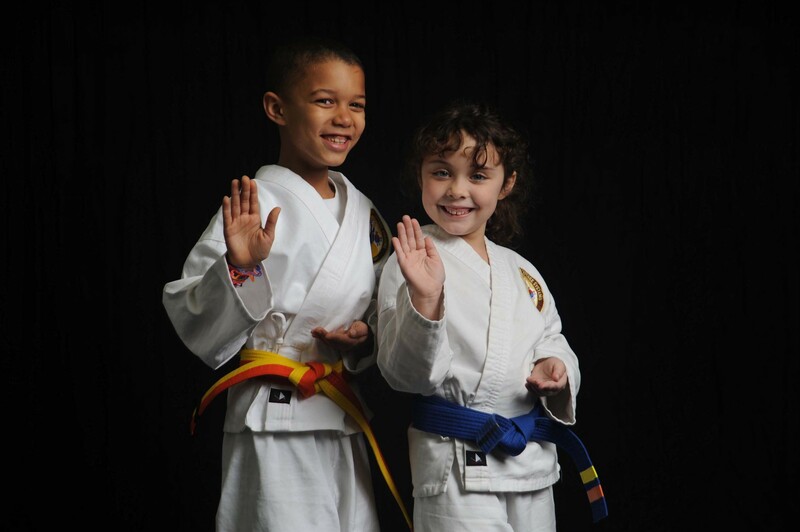 One need not be an "athlete" to participate in the benefits of our Taekwondo, Hapkido or Kickboxing programs. Beginners are enrolling every day, so whether you are new to martial arts, or are seeking to improve your current skills, you can find the training that you need at Master Fry Defense Systems!